For nearly 5 decades, Tom Taylor has protected human life. From patrolling Missouri's madcap rural highways to protecting heads of state in the world's most historic cities, Tom Taylor has lived one hell of a life. In 1968, Tom Taylor’s older brother, Bob, died in combat in Vietnam. Tom was 16 years old. Bob was 21. Bob was Tom’s hero. Following his big brother’s death, Tom’s parents were devastated by the loss of their eldest son and held on to their faith in God to help them through. Four years later, Tom married his high school sweetheart, Diane. A couple years after marrying Diane, Tom joined the Missouri Highway Patrol. From that day forward, Tom Taylor dedicated his life to protecting human life. As long as I live, I will tell Tom’s story. Today I’m telling you. Tom was a giant. 6 foot 4 with a barrel chest and mid‐west shoulders, shaking hands with Tom was like meeting the world’s strongest blacksmith. Tom was quiet. He was a stoic who listened more than he spoke. He looked you in the eye and smiled. When you entered the room, he always stood to shake your hand. When you needed it most, he gave you a hug. For decades, Tom protected human life across six continents. He protected some of the most influential figures of the late 20th century — men and women who literally changed the world. Tom played key roles in protection assignments for Soviet Premier Mikhail Gorbachev, British Prime Minister Margaret Thatcher, and numerous U.S. presidents, including Ronald Reagan. 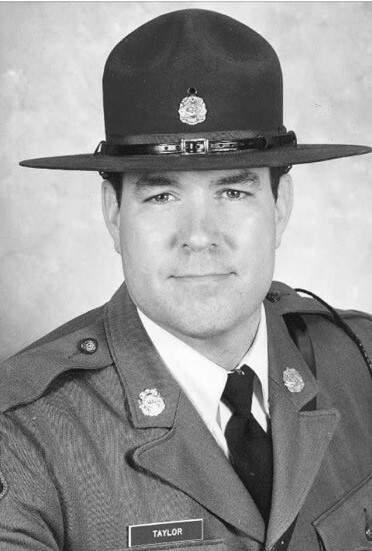 He served 30 years on the Missouri Highway Patrol. 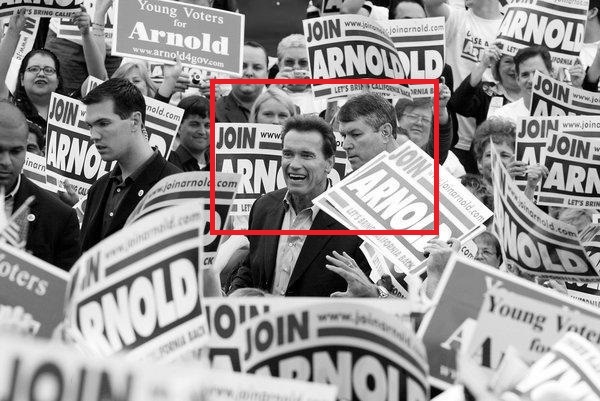 For 16 of those years, he provided close protection for Missouri’s governors and led that protection division for almost a decade. He also served as President of the National Governor’s Security Association (NGSA). 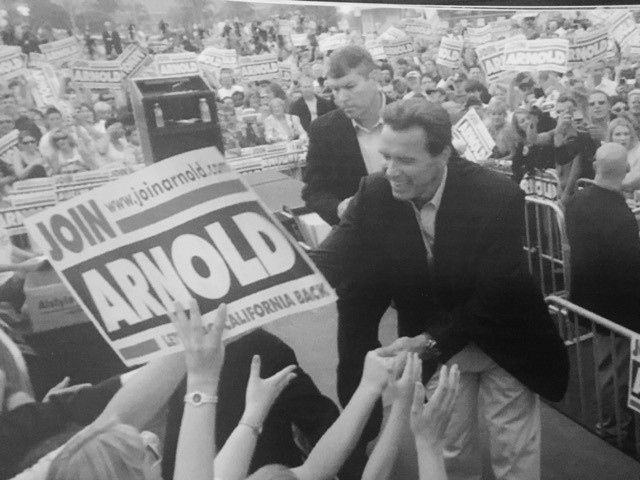 Three years after retiring from law enforcement, Tom led close protection for Arnold Schwarzenegger’s 2003 campaign for governor of California. Tom was a Road Warrior. 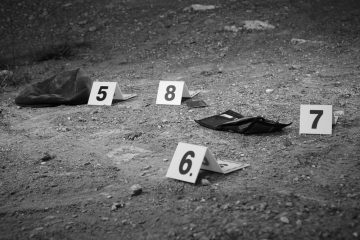 Early in his law enforcement career before he protected the governor, Tom patrolled the madcap rural highways of Missouri’s Boot Heel – a lonely stretch where bootleggers once ruled the asphalt. On one particular afternoon, a truck driver ran a weigh station. Tom took the call and roared his Chevy Impala to life. Spinning four wheels of fury over the hot blacktop of Southeast Missouri, Tom closed on his iron prey. In a scene out of Mad Max, Tom bulleted past the outlaw trucker who refused to pull over. Darting a mile ahead, Tom rolled into the grass median and reached for his highway artillery, loading two 12‐gauge “double‐ought” buck shot. Standing tall and center point on the highway, Tom signaled for the trucker to stop. The man refused and continued to close the distance. At this point, Tom aimed his shotgun at the 40,000 pounds of 18‐wheeler steel racing towards him. Tom fired both shells into the grill — attempting to “kill the truck.” Jumping out of the way, the truck thundered on. Tom leapt back into his patrol car, sped past the lunatic and set another roadblock. Lowering his shotgun again, the driver finally thought twice and stopped. Tom yanked the soon‐to‐be mental hospital patient out of his cab and made the arrest. As the sound of shotgun blasts and blaring sirens faded into the breeze, that section of Missouri highway drifted back to its comfort zone of lonesome truckers, sawgrass medians, and whiffs of melting tar beneath the burning sun. As for Tom Taylor, he powered on. And through the badlands he’d go, looking for trouble. Tom was a reader. When I visited him recently and stepped into his home office, I entered the best anti‐assassination library this side of Secret Service Headquarters. If the Ancient Library of Alexandria ever had a personal protection nook stacked high with scrolls, maybe – just maybe – it could have matched Tom’s collection. Stretching far down the wall and high towards the ceiling, books on protection, assassination, terrorism, and Far East warrior philosophies stand ready to change a man forever. Scattered across the walls and tables are other tokens of appreciation, including crossed Samurai Swords and thank you letters from famous public figures, heads of state, elite government agencies, and global enterprises – all beneficiaries of Tom’s protective service. When it comes to history, Tom not only read and wrote about history, he participated in history. 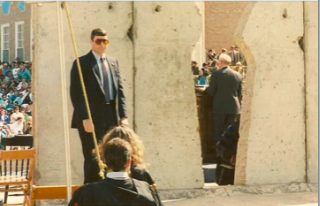 Here he is before a cut‐out of the Berlin Wall with Mikhail Gorbachev at the podium. Tom was a writer. As the sun flickered just above the eastern plains and across the Mississippi River from his home in Cape Girardeau, Missouri, Tom awakened with writing on his mind. 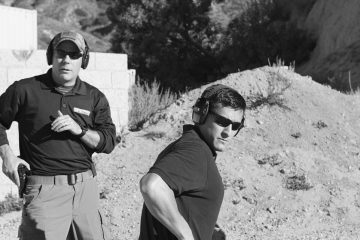 His collection of books included the eight he wrote, one of which he co‐authored with Gavin de Becker and Jeff Marquart, entitled Just 2 Seconds, which remains the book on protection and the primary text for FBI’s Close Protection course. Tom was a teacher. Despite being sick with cancer, Tom still wrote daily emails and reports to the “Tom Taylor Group” – a discreet fraternity of bodyguards and security experts. This anti‐assassination salon Tom created includes the former Deputy Director of the CIA’s National Clandestine Service, the special agent who created the FBI Academy’s Close Protection School, and a best‐selling author and three‐time presidential appointee. 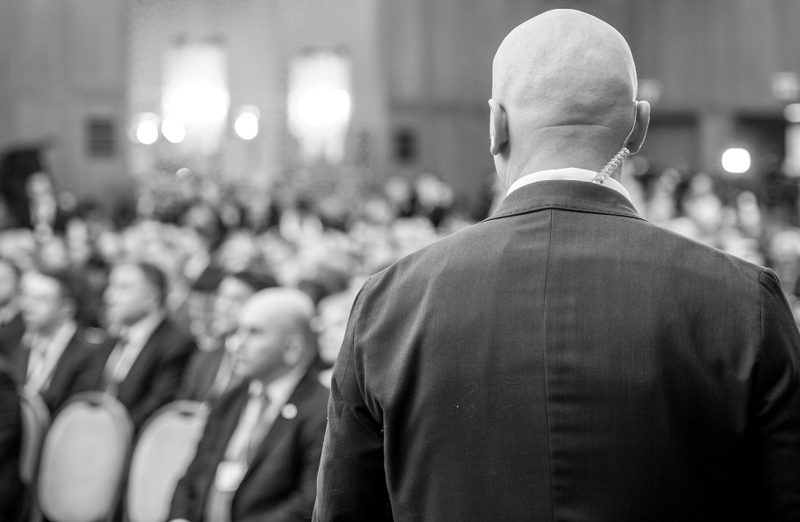 Tom’s exclusive group also includes men and women who operate in the shadows of our society, protecting some of the world’s most at‐risk public figures and enterprises. Tom was a friend. When I visited Tom’s Missouri home recently, Gavin de Becker had just left after spending the afternoon with Tom and Diane, and I might add, eating Diane’s homemade brownies. Though the brownies were gone, Diane welcomed me with Missouri barbecue. We ate, talked, and laughed into the night, well past 1:00 am. During my visit, Tom and I exchanged books, discussed books, and flipped to our favorite passages within our favorite books. Reading a favorite passage from a favorite book to a favorite friend is one of the great pleasures in life. I will never forget that night with Tom and Diane. It warms my heart to know more of Tom’s dear friends, especially those inside the world of personal protection and threat assessment, visited him or communicated with him, recently. Tom Taylor, you are loved. Tom lives forever. A hundred years from now a young bodyguard amidst the flying drones and warmer temperatures of the early 22nd Century will search his implanted microchip for “books on protection.” He will discover the subject’s most prolific author born nearly two centuries before. He will discover the great Tom Taylor of Cape Girardeau, Missouri. And he will be grateful that Tom lived, served, and never retired. Ed Hinman is Director of Security Strategies and Communication at Gavin de Becker & Associates.